At this time of year, we receive many reminders to take precautions against the cold weather. 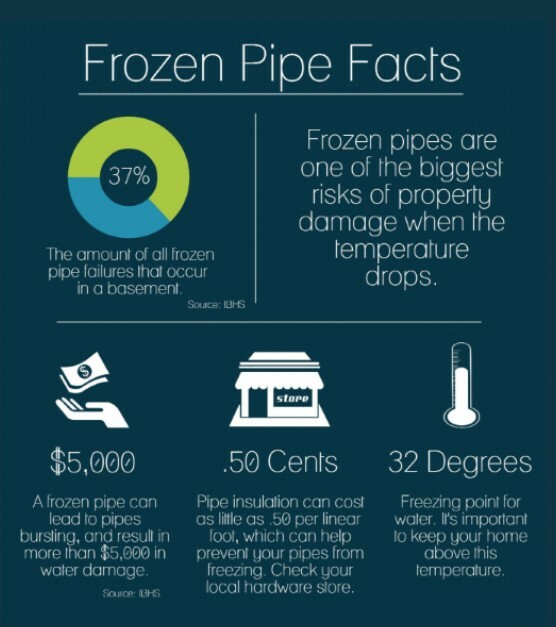 Did you know that frozen pipes are one of the biggest risks of property damage when the temperature drops? Be sure that everyone in the home knows where the main water shut-off valve is located. If you have a leaking or burst pipe—turn off the water right away. If you’ve had damage due to frozen pipes in your home or business, contact Smart Restoration Services. The experts at Smart Restoration Services can address all phases of restoration, remediation and reconstruction. Contact us at 847.577.2900 or contactus@smartrestorationservices.com.